This desk is made out of mahogany and maple. 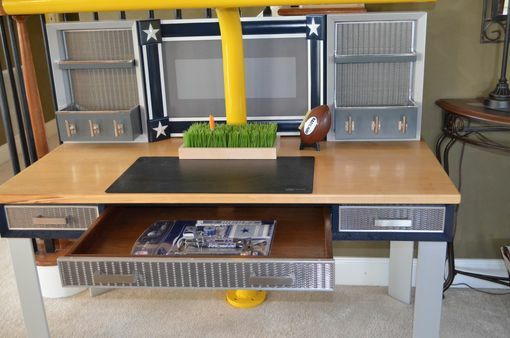 It has walnut drawers with chrome mesh drawer fronts and trim. 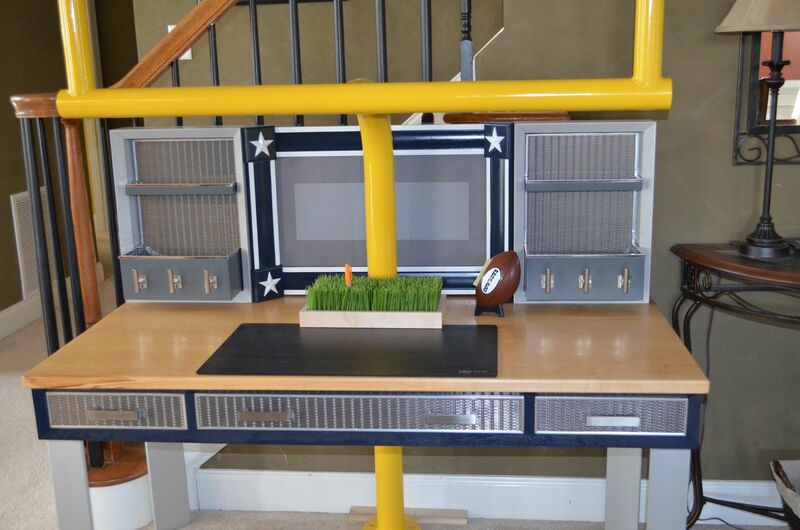 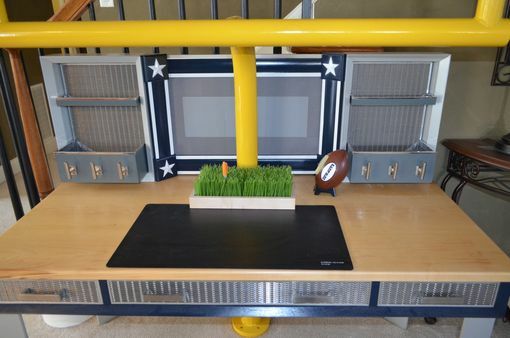 It has a scaled football goal made of metal and powder coated paint.